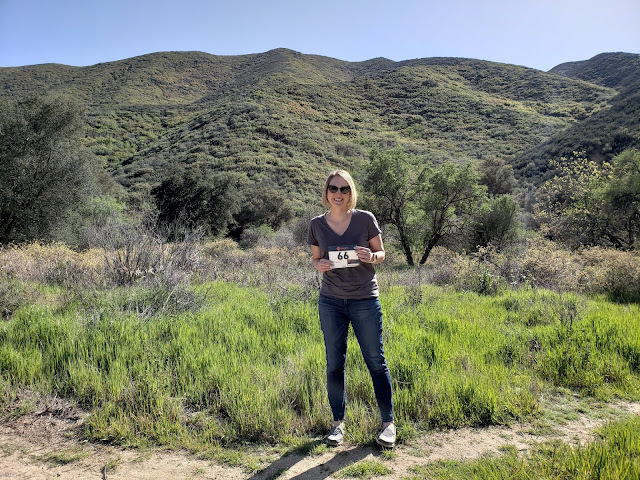 This past weekend I discovered Ragnar in the form of a trail relay, and it was fantastic. A relay where we run on trails, camp with the whole team, and enjoy a campfire? Yes please! I joined a team put together by Oiselle teammate Ayesha's friends, so before the relay I only knew Sophia and Ayesha. The team turned out to be awesome, and I loved meeting new friends. Sophia I arrived in Phoenix on Thursday, and we camped in the village Thursday night before the race. Ragnar already had the restrooms and transition areas set up, although this particular camping area conveniently had an indoor restroom and sink too. On Friday morning, we cheated on camping and went to Oiselle teammate Ashley's house to shower and then out to breakfast at Luci's Healthy Marketplace. What a fabulous place! I'd be there all the time if I lived nearby. The trail relays are handled differently than the road version and the teams have 8 people instead of 12. There is a 'village' where all of the teams set up a campsite to hang out during the relay. 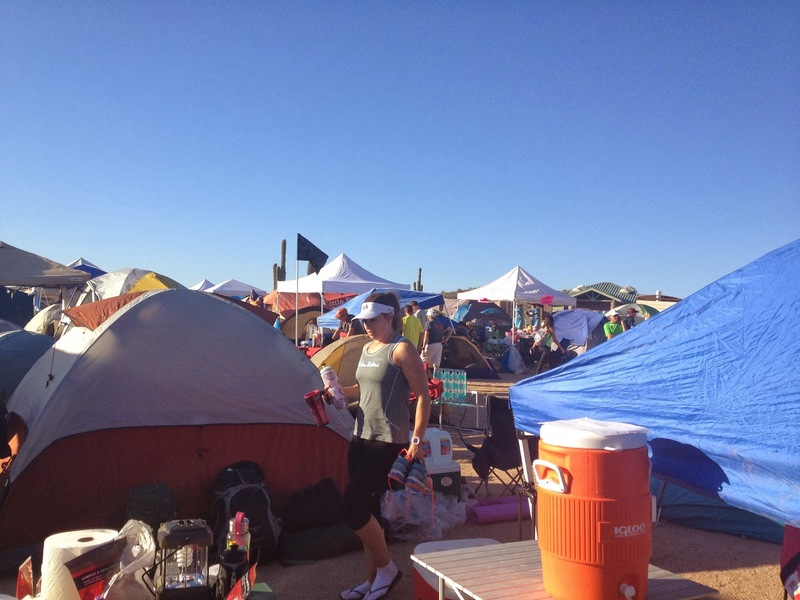 Ragnar sets up a mess hall for food, shopping for Ragnar and Salomon goodies, water and Nuun, and a bonfire. View of Ragnar Village tents from our spot. All of the trail routes leave from the same transition tent, and each runner runs 3 different loops to complete the relay. For example, runner 1 does the green loop, runner 2 the yellow loop, runner 3 the red loop, and then runner 4 starts over with green. You continue to rotate through the loops until all 8 runners have run all 3 loops. It might sound confusing, but it's actually quite easy once you get going. Each team has one race bib with a timing chip, which is passed from runner to runner via a belt. Runners cross the timing mat as they come into the transition area as well as 0.4 miles out to tell the next runner to get ready. 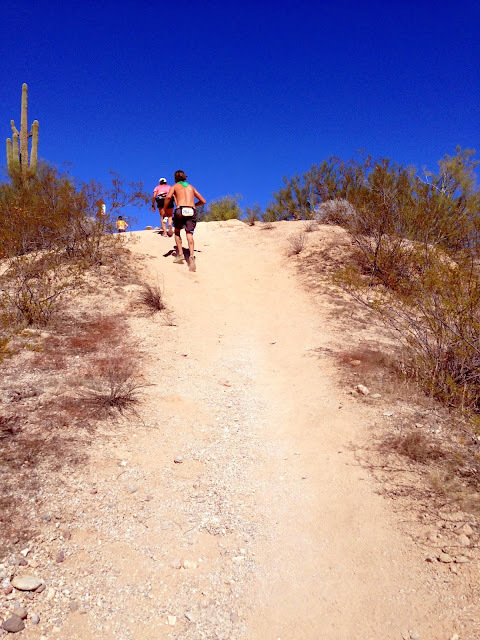 Running the trail relay in Arizona was a lot different than I imagined because it's a new climate for me. Aside from a short climb on the yellow loop, there weren't hills like I'm used to in trail running. 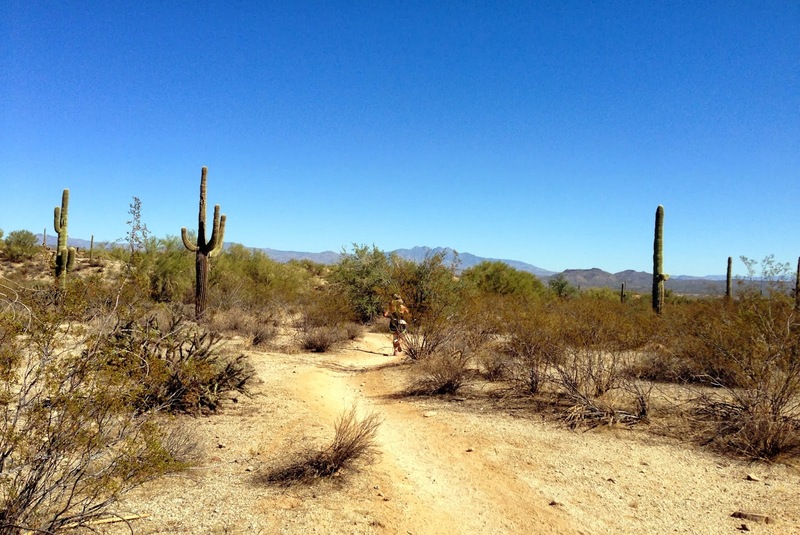 The desert trails had a lot of little ups and downs through the sand and tons of cactus along the sides. Both the green and red loop were fairly smooth dirt and sand trails, but the yellow loop was the technical trail with climbing and rocky terrain. Of course, that one was my favorite! Our team, Pink Lemonade, started at 3 pm on Friday during the heat of the day. And boy was it HOT this past weekend. Even the locals said it was hotter than usual for the time of year. I was runner 7 of 8, so I didn't run until about 9 pm and was lucky to run 2 of my legs during the cool night time hours. We had plenty of time to enjoy various Ragnar village festivities before running. Hanging with Oiselle teammates Sophia, Ashley, and Megan. A little hair braiding time for Sophia and Ayesha. Trisha, runner 3, heading in from her first leg. About 2 hours before my estimated run time, I realized I'd better eat dinner. I still find fueling properly to be one of the hardest parts of a relay. Ragnar provided a pasta dinner (pasta, salad, bread, and a cookie) from 5 to 10 pm which was included in the registration price. Overall it wasn't great, but it was fuel and didn't cost extra. My first leg was the 4.6 mile green loop and it went great! I ran hard, didn't have any trouble in the dark, and enjoyed the cool temps. The crazy part of my green leg was seeing my first rattlesnake ever - a very mad coiled-head-up-defensive-rattling one at that. Thank goodness I was near two other runners and someone ahead of us had stopped to warn everyone to go around it. I'm pretty sure I would have freaked out if I saw it on my own. Ragnar must have taken care of the situation quickly, because runners who came in only about 10 minutes after me said they didn't see any sign of it. After that leg I was on a serious runner's high and sleeping wasn't happening anytime soon. 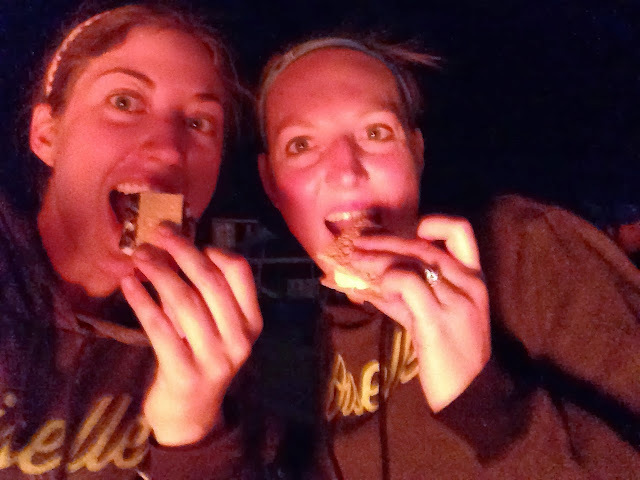 We enjoyed the bonfire, ate s'mores, and cheered runners 8 and 1 through the transition. Shortly after that we found out Susan, runner 2, was injured and couldn't do her next legs. Uh oh. I knew I could take the mileage but wasn't fueled to run again yet, so we did some planning and determined I'd run yellow+red back to back for 12 miles total and Sophia would take the earlier yellow for Susan. I attempted to sleep for a couple of hours until my double loop, although I can't say if I really slept much. I woke up to my 3 am alarm freezing thanks to the big temperature swing in the desert at night. My brain told me there was no way I could run 12 miles at that point but I forced myself into my running clothes again, shivering. There wasn't really an option here. I started into the yellow loop half asleep, turned the mental game around and managed to get myself into the zone in mile 1, and was apparently so in the zone I missed a turn off on the course. After a few minutes I realized I hadn't seen any trail markers for a while and briefly panicked (I'm lost in the desert in the dark and no one knows where I am! ), then came to my senses, turned around, and traced the trail back to my missed turn. I think I cost myself about 10 minutes with that little detour. The funniest part was re-passing the people I'd already passed at the beginning of yellow. Oh well. 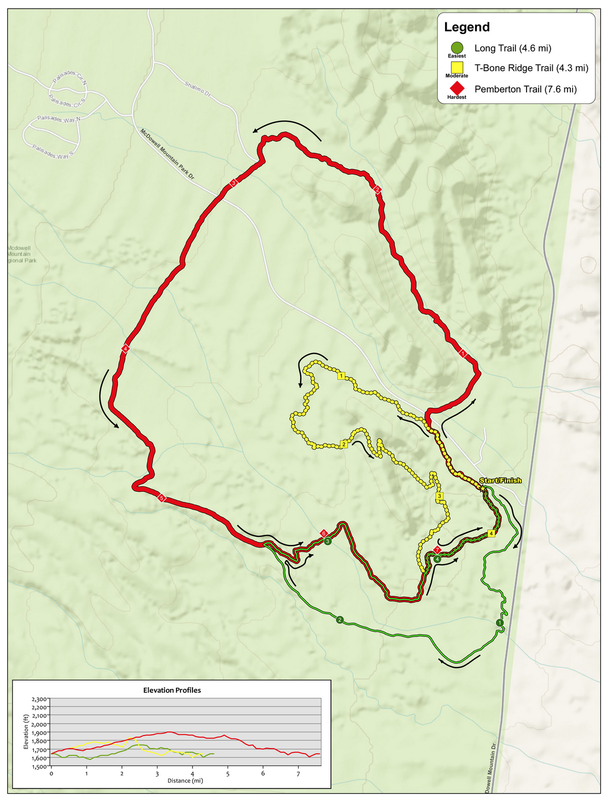 I ran through the transition and headed back out to my red loop, the longest at 7.6 miles. Red was great, super smooth trail with mild elevation changes. I was pretty tired and took it slower than I'd have preferred, but it is what it is. The sunrise was just starting as I came in from the red loop, making a pretty and colorful line above the desert horizon. The next few hours are a blur. I laid down for a while but didn't really sleep, ate an egg breakfast sandwich from the food truck, had coffee, and wandered around. The temperature heated up fast after sunrise, making me really nervous for my last leg. Luckily it was the yellow loop again, my favorite and the shortest. Ayesha took Susan's other loop and doubled up with her own, but she had the disadvantage of doing the double in the heat. I don't envy her at all. Of course, she rocked it! Ayesha passing through to loop 2. My dreaded hot yellow loop turned out fine, and I even found a trail buddy to run and chat with to make it go faster. I really loved the climb and then the downhill on that loop, but by the time I finished that final leg and handed off to Samara I was definitely ready to be done. Samara sped through her last red loop, bringing our team to a finish of about 24 hours total. Many teams had to double up on the last legs to finish before the time cutoff (multiple runners who need the same loop run together and take the same total time) but we didn't. Samara literally flying as she leads us! 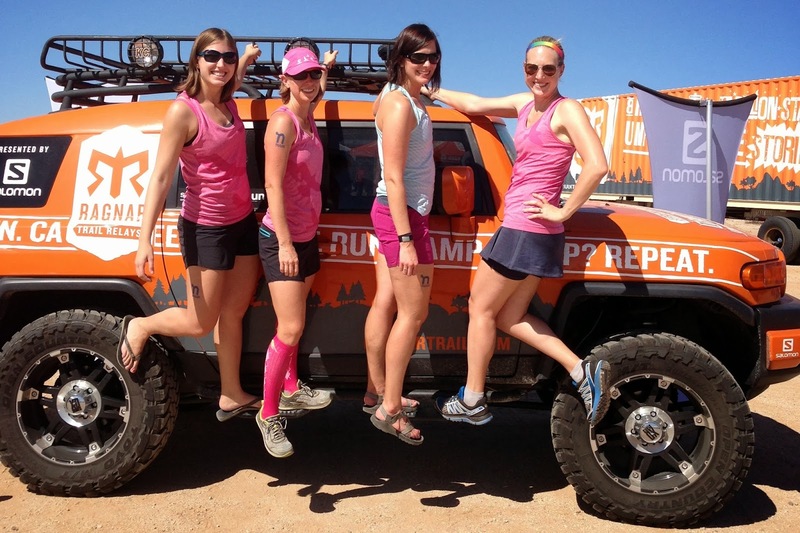 Team photo op at the Ragnar truck: Sophia, me, Emily, Ayesha, Samara, Trisha, Susan, Steve. Shirts (cotton/poly blend) and wooden race bling. All in all, I loved doing Ragnar as a trail relay and hope to do it again. Even though this is the first year for them, Ragnar has done a great job of learning as they go and handling the new events. I can't wait to see the new locations they add and to sign up for more. And last but not least - a BIG thank you to Susan for planning the team, to Trisha, Emily, and Samara for letting us dirty their camping gear, and to the whole team for making it such a fun weekend! Oh my goodness. I am now infinitely jealous of you. I wasn't so sold on relays despite doing 3 of them last year, but trails and campfires and tents? Yes, please!! Sounds like an awesome time! Way to pick up the slack. I've done the regular Ragnar and this just sounds like so much fun, especially the no driving part! Amazing work!! Sounds like a super fun experience. I think running a trail in the dark would make me nervous, especially if it is technical. But I think I would love the camping and getting to hang out with your whole team! Oh man, I've got some major Ragnar-envy now!! I did one (not trail) in the Adirondacks days before we moved to Singapore - so I'm on the mailing list, and have been hankering to try the trail version - except, you know, that 8,000 miles away thing. This one is super appealing to me, as I ran a race at McDowell (McDowell Madness or something) while visiting my sister, who was living in Phoenix. So the pics are all looking super familiar to me!